We absolutely loved reading and discussing The Wrong Way to Save Your Life by Megan Stielstra. Thank you for writing it! RGC Group: We noticed there were more essays that involved information about your dad, and about your relationship with your dad. Is that because you connect fear to him more to you than to your mom (due to his health and his experience with the school shooting)? 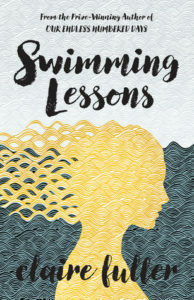 Our RGC group’s book 5 was Claire Fuller’s Swimming Lessons. RGC Group: Thanks so much for answering our questions. We loved your book and we were all drawn into the story immediately. It was a fun discussion. RGC: Did Gil find all of the letters from Ingrid or just the portion we saw? Were there others? 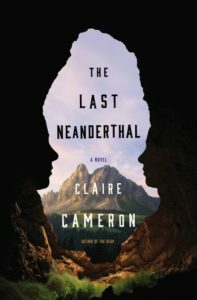 Our RGC group’s book 4 was Claire Cameron’s The Last Neanderthal. RGC: We all thoroughly enjoyed this book, and the conversations it sparked were so interesting! Everyone is planning to read other books related to the book and ideas, and other books mentioned in the back, which is always great to see! Thanks so much to Claire for answering our questions! Claire Cameron: I loved this interview, thank you. It’s so much fun to be a part of a conversation. I only wish we’d been able to talk while sitting around someone’s living room with a glass of wine in hand! 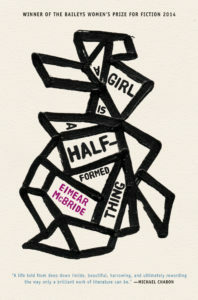 Our RGC group’s book 3 was Eimear McBride’s A Girl is a Half-Formed Thing. Eimear recently published her second novel, The Lesser Bohemians. 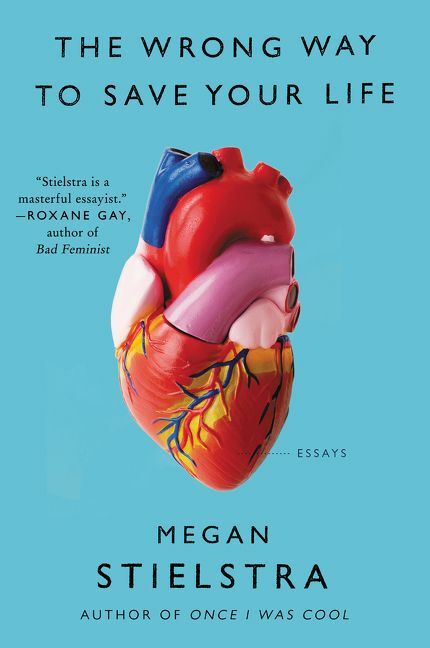 For many of our group members this was the first time reading a novel written with a lyric prose style so we discussed writing style as much as the story itself. The book brought up many important and timely issues to discuss: gender, power, trauma, individuality and perception, and caused us to consider how the meaning of of these words/themes change when they are specifically tied to a woman’s story. 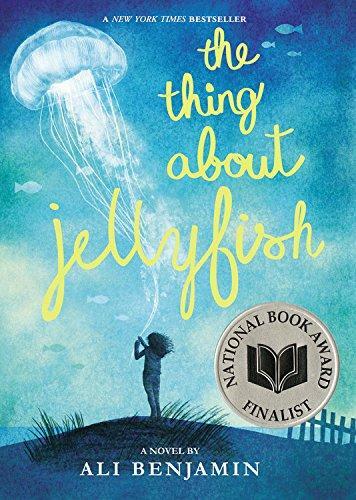 Our RGC group’s second book was Ali Benjamin’s The Thing About Jellyfish. This was our group’s first Young Adult book, and while the setting took us back to middle school memories (some fond, some not so fond), the issues and struggles were ageless. We had a very interesting discussion about grief, individuality, friendship, bullying, and the different actions that can be used in place of words. And Ali kindly agreed to answer a few questions for us! 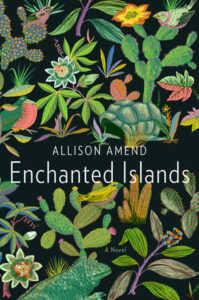 Our first book was Allison Amend’s, Enchanted Islands. We enjoyed following Frances to Chicago, Nebraska, San Francisco, and of course the Galapagos Islands, and we found it especially fitting for the end of the summer. We had a very interesting discussion about chance and circumstance, and Allison kindly agreed to answer a few questions for us! RGC Group: Once you decided you were going to write about Frances Conway, and you knew her story on the islands, how did you choose where to start? Did you have a few beginnings outlined before you chose one?